Kamal Holder is back for his sophomore year at AVC. He gain 25 pounds of muscle this year and with his long arms and strength, Kamal has evolved into a strong inside-outside wing. The Washington High School graduate, scored 5.4 PPG and 4.3 RPB this year for AVC. 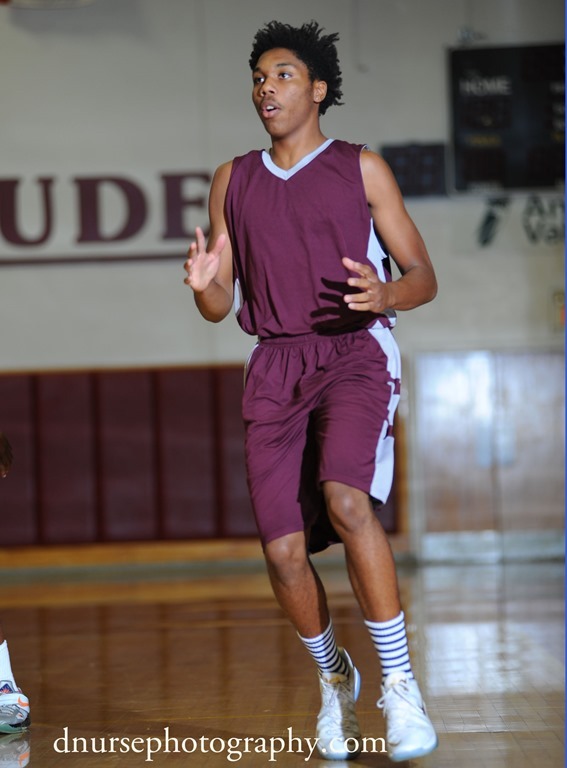 Holder pulled down 12 rebounds…11 offensive…against Compton College. Holder has improved on his mid-range shooting and has learned to execute in a D-1 style offense. Expect Kamal to be a key in a big year for the Antelope Valley Marauders. Because of Kamal’s excellent ball handling and defensive skills, he has been given another job, back up point guard. His skill level over the summer at this position has grown exponentially. A multi talented player.